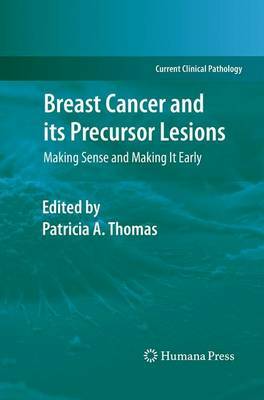 Rather than an exhaustive review of all the pathologic conditions of the female breast, Breast Cancer and its Precursor Lesions focuses on the current knowledge, understanding and issues related to breast cancer and its benign lesions that are associated with an increased risk for the subsequent development of cancer. This book targets the language, diagnostic terms and critical communication that must take place between primary care physicians, breast surgeons, oncologists, and general surgical pathologists interested in the pathologist's perspective on these important diseases. The volume also reviews the current terminology and how to read or write meaningful pathology reports on these entities, the foils and nuances of the pathology and implications for management, and up to date issues in genomics and proteomics of these conditions. The text is succinct, fully informative, and written in "plain language". All chapters are presented in a uniform fashion, and supplemented by high-quality illustrations and tables. Breast Cancer and its Precursor Lesions will be of great value to pathologists as well as primary care physicians, breast surgeons, and oncologists for understanding breast pathology and its implications for management.